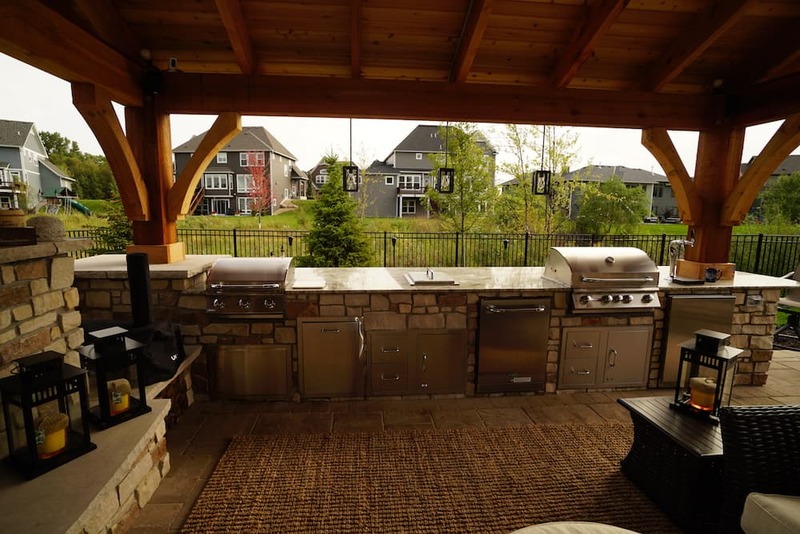 Take a look at your backyard: do you have empty space where you can visualize an outdoor kitchen? If so, it is time to upgrade that grill to a kitchen. An outside kitchen may seem strange in Minnesota, but it’s one of the most popular backyard trends. With the correct design and appliances for outdoor use, you can have a kitchen just as efficient as the one you have indoors. Overall, outdoor kitchens take your hosting capabilities up a notch. No need to limit yourself to just grilling when throwing a backyard party. Installing a pizza oven or regular oven gives you a lot more food options like pizza, cookies, and more. Instead of running back and forth between the yard and indoor kitchen, you can relax and watch the food while hanging out. The kids will especially love the opportunity to make restaurant-style pizza. The best thing about contacting Outdoor Innovations for a consultation is designing the space to your needs. If you want a full, functioning outdoor kitchen, a fridge and sink can be added along with additional storage. Want to go even farther? Ask us about adding on TVs, stereo systems, and overhead coverage. Our experts know the right appliances you need to handle the Minnesota elements, so you can trust you’ll get an amazing product on your budget.